Excitement is building for Sunday’s CicLAvia, even if El Niño is threatening to make an appearance. Getting there just got a little easier, as Metrolink is adding trains from Union Station to Van Nuys. CiclaValley offers part one of his CicLAvia preview, including a mural for the Day the Music Died, commemorating the day when Pacoima’s favorite son Ritchie Valens went down in a plane crash that also took the life of Buddy Holly and The Big Bopper. If you don’t know who they are, you’re missing a big chunk of music history. And CD 7 Councilmember Felipe Fuentes offers a video preview of Sunday’s event. 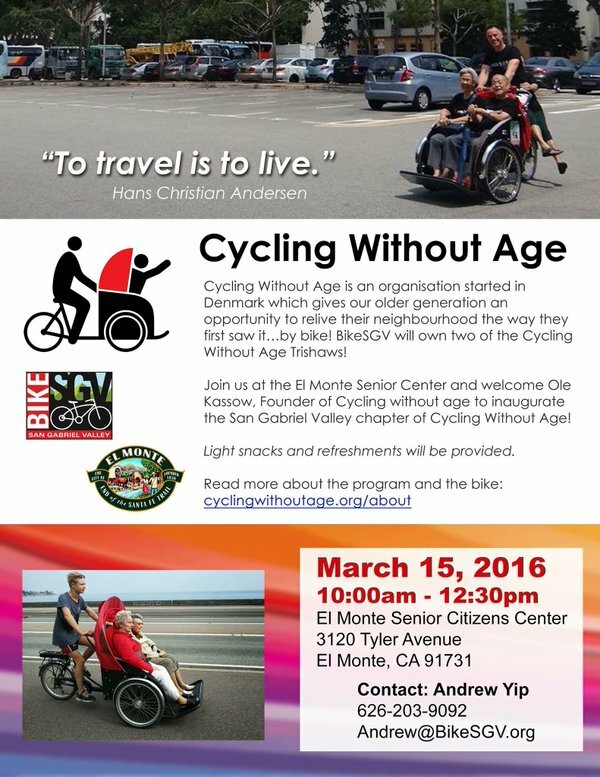 As we mentioned last week, Bike SGV will be bringing the Cycling Without Age program to the El Monte Senior Center on the 15th to let older people enjoy the thrill of bicycling once more on specially modified rickshaws — often for the first time in years. 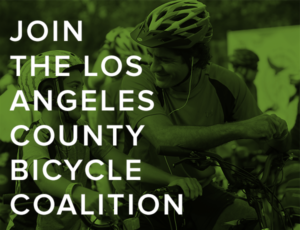 Which leads us to point out that Bike SGV is looking for a part-time Bicycle Education Center Coordinator with wrenching skills. Teams are announced for this year’s Amgen Tour of California, with Peter Sagan, Bradley Wiggins and Mark Cavendish returning. Although the women’s field may be even more exciting, and both the men’s and women’s hour record holders will be taking part. Speaking of which, a nice piece from a New York women’s rider says it’s Evelyn Stevens that matters, not the record she set. And talk about a bad fall. A German pro cyclist survives a 39-foot fall off a bridge into a frozen lake; he swam to safety despite suffering a broken hip. Gizmag calls Calfree Design’s new bamboo e-bike a real car killer, which only seems appropriate, since that’s the name of the bike. Or maybe you’d rather build your own bamboo bike, minus the “e”. And this non-bamboo yet decidedly bizarre looking bike is built to adjust to your exact fit. The LA Times looks at the morning-long conversation they hosted Monday about the future of transportation in LA, where the word bicycle apparently went unmentioned. New traffic lights in Downtown LA give pedestrians a head start on motorized traffic to improve safety. But why not include bike riders, as well? 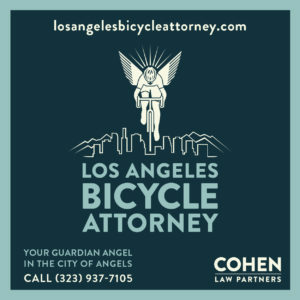 Nice piece from the LACBC talks with local cyclist Victor Boyce, whose mother was one of the original students who broke the color barrier in 1956. Streetsblog looks at the Ovarian Psychos documentary planned to premier at this year’s South by Southwest. They’re looking for some help with production, though their Kickstarter is now fully funded. CSU Northridge police issue a crime alert after five bicycles were stolen in just three days. Walk Bike Glendale recaps their successes for last year. Take a look at the Facebook rantings of the group dedicated to keeping Temple City’s Las Tunas Drive ugly, dangerous and bike-free. Thanks to Vesley Reutimann for the tip. Cal Poly Pomona students are working to improve access for alternative transportation at the notoriously auto-centric campus. Mark your calendar for April 10th, when you can ride through Northeast LA with the LAPD’s senior lead officers for the area. Calbike lists their legislative goals for this year, primarily preserving active transportation funding and clarifying cyclists right to ride side-by-side. Yes, drivers have to give you at least a three-foot passing distance, even if you’re riding in a bike lane. 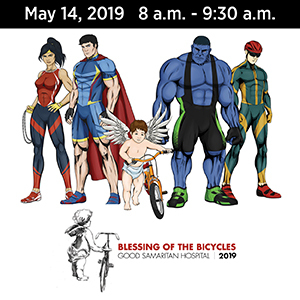 Streetsblog’s Damien Newton talks about San Diego’s plans for a suddenly bike-friendly downtown with BikeSD’s Sam Ollinger, as well as the coming LA Bike Festival with the Bicycle Culture Institute’s Nona Varnado. Speaking of San Diego, work has begun on a separated bike path next to State Route 15 through the city. The 50-mile bike loop around the Coachella Valley could be a little shorter, as the Coachella Valley Association of Governments votes to leave a recalcitrant Rancho Mirage out. A Berkeley bike rider makes an urgent call for better bikeways for him and his family, in a city that was once a leader in bicycling infrastructure. Thanks to Megan Lynch for the heads-up. A Sacramento bar takes security a step further by installing cameras above the bike racks outside. Meanwhile, residents of South Sacramento are concerned that the SPD’s bait bike program could turn the neighborhood’s young people into criminals. Um, only if they try to steal one. A bike rider says the Truckee River Legacy Trail has turned into a $2.5 million per mile illegal dog park. Treehugger explores whether cars are the most socialized form of transportation. Despite what many drivers would say about freeloading cyclists who don’t pay gas/road taxes, the answer is a resounding yes. An Anchorage cyclist rides a fat bike 350 miles in just under two days along Alaska’s famed dog sled trail to win the Iditarod Trail Invitational 350. Nike has built their own 1/3 mile bike path through the woods to connect their headquarters with a rail station. Seattle debates whether to save the city’s Pronto bikeshare or let it die. The LA Times recommends an easy, traffic-free five-day rail-to-trail bike tour through the Cascades in Washington state. Although you could do it yourself a lot cheaper. Denver’s leading bike advocacy group is looking for a new executive director to lead the fight for a bikeable Mile High City. A thoughtful driver in my hometown evidently stopped to move a cyclist’s bike and backpack to the curb before fleeing the scene, while leaving the rider he hit lying injured in the street. Oklahoma considers legislation allowing cyclists to treat stop signs as yields, and ride through red lights that don’t change. 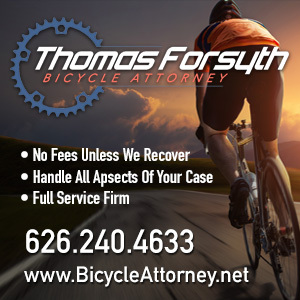 A bill under consideration in Tennessee could make it difficult to build bike and pedestrian projects by prohibiting the use of gas taxes to fund them. The Wall Street Journal reviews Janette Sadik-Khan’s new book Streetfight. And the Journal’s bike-riding Jason Gay looks at Evelyn Steven’s hour record, Tim Johnson’s fat bike winter ride up New Hampshire’s Mt. Washington, and wonders if Peter Sagan will get around to shaving his legs. The rich get richer, as New York City will set another record for protected bike lanes this year. An OpEd in the Washington Post says the car century was a mistake, and it’s time to move on. Suffering from depression? Get out and exercise, says a Canadian physician. Vancouver’s Chris and Melissa Bruntlett argue it’s hard to claim no one uses the city’s bike lanes when you have a bike counter with six zeros staring back at you. Nice gesture from a Calgary family, who gave their dead son’s bike to a Syrian refugee boy. Auto-centric Milan proposes paying people to leave their cars at home and ride to work. Which is something LA should take a serious look at if we’re serious about getting cars off the roads. CNN looks at how men with monster thighs seduced Germany with the Berlin Six Day track event. A Calgary website looks at Amsterdam’s transformation into a city for people, not cars. Despite public fears, Australian police haven’t seen a jump in Lycra-wearing cyclists speeding down sidewalks at 25 mph after riders were allowed on sidewalks in Adelaide last year. No bias here. An Aussie paper reports a cyclist smashed through the back window of a taxi, whose driver apparently did absolutely nothing to contribute to the crash. If it’s not drivers, it’s huge rocks falling on rider’s heads. If you’re going to ride drunk, make sure your bike helmet fits first. And now you, too, can enjoy the same sort of built-in distractions that drivers do.